Moo Barn offers self catering accommodation just outside of Tregony, near Truro. 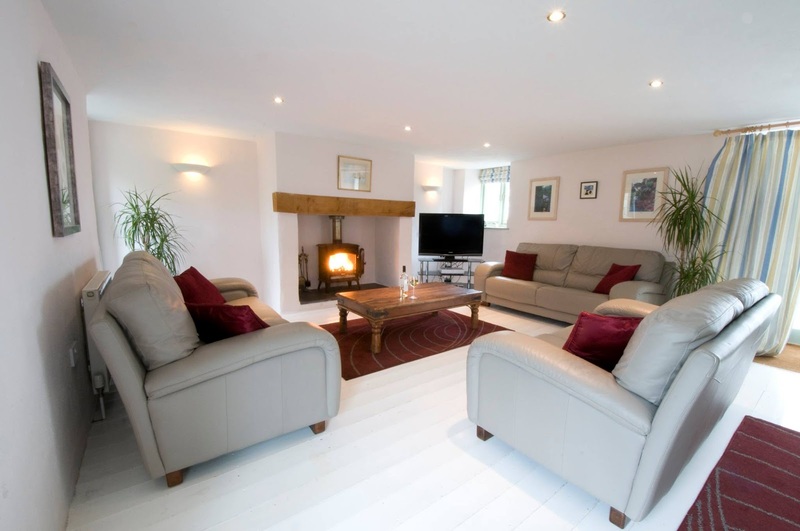 Moo Barn is a large, relaxing and beautiful luxury barn conversion set peacefully at the end of a private lane. The cottage is big enough for two families to share or one family to spread out. There are 3 bedrooms upstairs: 2 doubles and 1 twin, as well as a twin bedroom downstairs. The holiday cottage is large enough to give extra privacy for those wanting to escape the children! The downstairs living space is open plan and spacious, with a dining table seating up to eight people; ideal for quick suppers or more leisurely dinner parties. 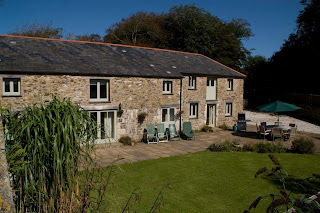 There is a large walled garden with comfortable furniture, a safe place for the children to play and the adults to unwind over a glass of wine and a barbeque during the long hot summer evenings. Moo Barn is close to the lovely old Cornish fishing village of Mevagissey, The Lost Gardens of Heligan and the Eden Project.